Here at the Preventive Vet office, we try our hardest to think of the environment all year long, not just on Earth Day. 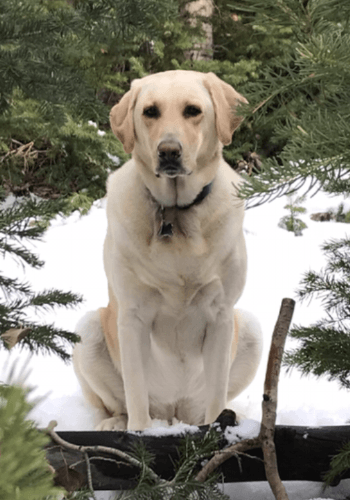 We have a robust recycling and compost program, and we always scoop our pets’ poop – this country song parody is proof! 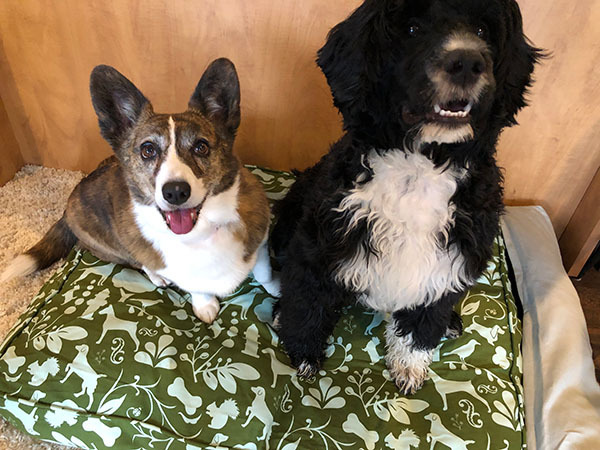 This year, we wanted to take our Earth Day festivities to the next level by expanding our eco-friendly habits to include upcycling and reusing things our office dogs use every day — their beds and toys! Teaching your dog how to walk politely on their leash is a lot easier and safer if you use a body harness. Not only is a dog who pulls against their collar while on leash hard to control, but they're also in danger of some major health risks! Dogs who pull on leash can suffer a collapsed trachea, nerve damage, and other neck and throat injuries. For brachycephalic breeds (short-skulled and flat-faced dogs like Pugs, Boxers, French Bulldogs, etc.) harnesses are best to prevent any pressure on the neck and throat and exacerbating their already delicate face and short nasal airway. Using a harness helps to prevent these injuries from occurring and can also help you in training your dog to walk politely on leash. 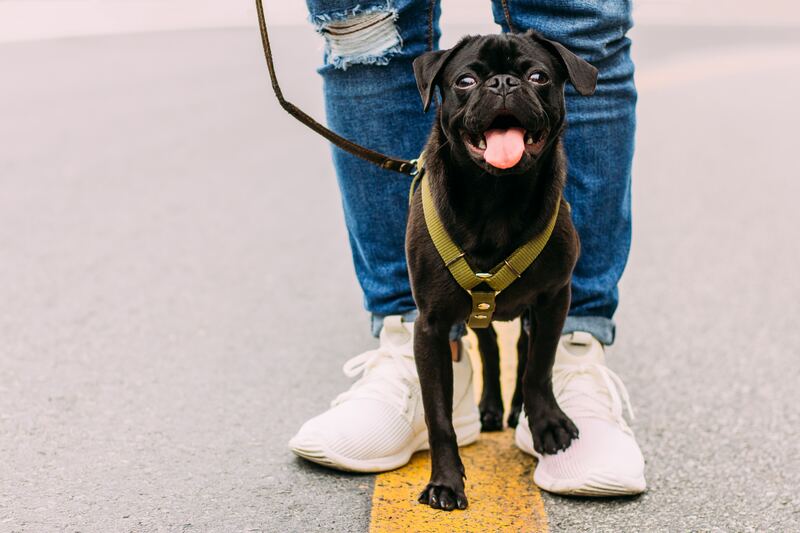 A harness is a great alternative to aversive collars, giving you better control with a large, strong dog without relying on pain and discomfort. 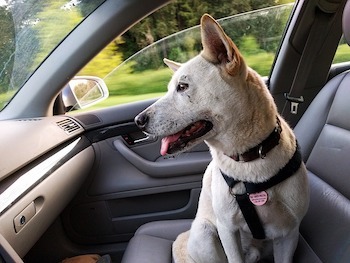 Harnesses provide another option for dogs that tend to slip or back out of their collars, as it's harder to wiggle out of a body harness than a regular flat collar. There are many kinds of harnesses and it’s important that you find the right kind for you and your dog. Keep reading to find out more about all the options. Congratulations on your new puppy! 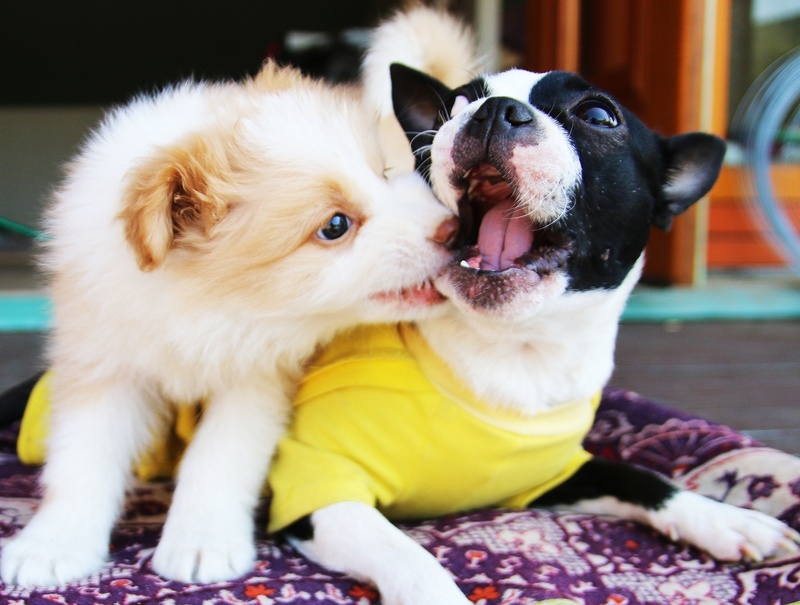 Puppyhood is a fun stage of your dog’s life, where you’ll get lots of licks and laughs, but there’s also lots of work to do to set your puppy up for success. 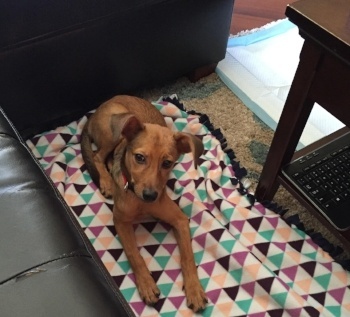 You want to make sure you show your pup how to be a well-behaved member of the family, and, if you value your floors and your sanity, it starts with potty training. 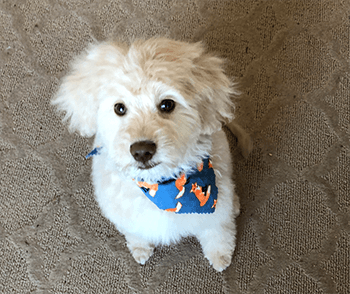 When I first started training my mini Goldendoodle puppy Mary Berry, I was so excited to work on new tricks. I made sure to set aside lots of time to train her to “leave it,” had my training treats ready to go, a nice treat pouch clipped to my pocket, and I was ready to be the best puppy parent I could be. But then reality hit, and after just a few minutes of training Mary Berry’s attention was on everything but me. If you have a puppy, you can probably relate. You’ve got everything ready but they just won’t get with the program! You’re now frustrated and ready to give up. You try again later and get the same results. What went wrong? The evening of December 4, 2018 was unfolding like any other. Kristi Blust did the usual quick basketball practice drop off run with her daughter after work, taking the typical 10 minutes or so. She returned home to start making dinner for her family, just like the night before. That's where the similarities stop though. Sadly, that evening wasn’t going to be just like any other evening for Kristi and her family. Like many health-conscious people these days, Melissa Wardrop is eating healthier and watching her and her family’s consumption of sugar. She’s also a very considerate person, both generally and also in terms of taking her friends' sugar-free eating habits into consideration. Sadly, it was the two “thank you” loaves of sugar-free, gluten-free, dairy-free zucchini bread she baked for her friends that led to the loss of her beloved family dog, Lucy, a beautiful and sweet 5 year old Lab. 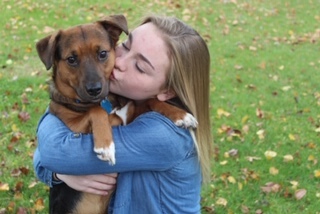 Bringing a dog into your life often means that trips out of town can become a little more complicated. Sometimes you can’t bring your dog with you, sometimes you don’t want to bring them with you, and some dogs simply don’t want to go with you — at least not all the time. Where do you leave your dog when you’re away? This is usually a tough question, especially if you can’t find someone you know who has the time (or experience) to care for your pet. On the other hand, Internet pet sitting services have made it easier than ever to find a sitter, but not all sitters are created equal. And many people prefer to board their dogs at their vet or with another reputable facility. Does tug of war make dogs aggressive? You might have heard that playing tug of war with your dog, especially a puppy, puts them on the path toward aggression. If you’ve heard this, you’ve heard wrong. Playing tug of war with a dog will not necessarily cause them to become aggressive. How you play tug of war might lead to aggressive behaviors, but it’s remarkably easy to stay on the right path. Why would you want to? 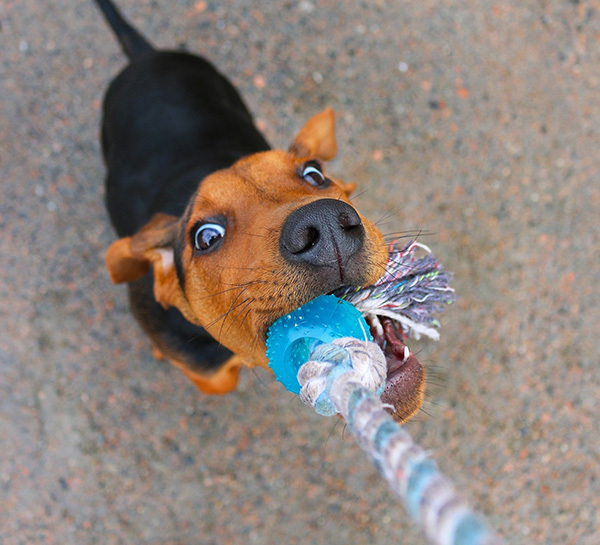 Well, playing tug of war with your dog can be extremely beneficial for both of you.